There are numerous GPS watches out there on the market today, and if you’re just starting out and not sure which one to get, sit back and relax, because the experts have done the work for you. After much studying, testing, and consulting, some of the experts within the sports watch realm have come up with a decision as to which is the best GPS running watch for most people. Because of the many software and hardware features, easy-to-read display, advanced GPS technology, and Bluetooth connectivity, they have dubbed the Garmin Forerunner220 the best GPS running watch. Two of the most important aspects of running that you need to improve during your workouts if you want to be a better runner are the intensity of your running and the amount that you are running. Increasing the intensity and distance of running will not only help you improve your physical fitness, but will also help you avoid injuries. A GPS watch such as the Forerunner 220 can help you do both of these. One of bad habits runners fall into is completely skipping their recovery days and then running twice as hard on training days. This not only leads to fatigue on running days, but also contributes to overall bad performance. The Garmin Forerunner 220 helps athletes avoid getting too lazy on recovery days with inactivity alerts set to go off if you spend too much time in one place. One of the most common causes of running-related injuries is athletes who start too intensely and run too far too soon. To help avoid injuries, it’s important for people who are just getting into running to start out gradually and then slowly build up the intensity. Garmin GPS watches carefully keep track of a runner’s daily routine on the computer using Garmin Connect, which makes it easy for you to pace yourself accordingly. And when you couple the Forerunner 220 with a heart rate monitor, you can track your overall fitness even better to make sure you’re training with the right amount of intensity. Studies have shown that wearing a pedometer to track your steps helps motivate people to exercise more. A GPS running watch is a super advanced pedometer that helps runners keep track of how far they’ve run, how fast they ran, and many other aspects of training. All of this information goes into making you a better runner, whether you are doing it for competitive purposes or just for the fun of it. Either way, you want to be the best runner you can be, and a good GPS watch will help you do that. Although some people would argue that a good smart phone can do everything that the Forerunner 220 can, but smart phones are typically more difficult to carry and are also easier to drop when running. The Forerunner 220 is waterproof up to 50 meters, so you don’t have to worry about sweat, rain, or a dip in the swimming pool causing damage. It’s also strapped to your wrist to prevent falling-related accidents. You can, however, connect the Forerunner to your smart phone to upload data to Garmin Connect while you run and to stream your running information live. One of the best things about the Garmin Forerunner 220 is that it is affordable, starting at just $250. It has everything that an intermediate runner needs to track runs, but is simple enough for beginners. This makes it a great starting sports watch, because you don’t have to muddle through a long list of confusion features when you’re just starting out, but they’re there waiting for you as you grow in your running career. The Forerunner 220 took all the best features of its predecessor, the Garmin Forerunner 210, including GPS accuracy and a long battery life, and gave the watch a makeover. The 220 has improved size, is more usable, and is more comfortable. It now also has a touch screen, Bluetooth connections, and is waterproof. Garmin has built a reputation for making great GPS watches, so it’s no surprise that the Forerunner 220 took the prize as the best GPS running watch. One of the things that makes the Forerunner 220 better than its competitors is the size. The 220 is smaller and lighter than the other equivalent GPS watches, so you can wear it every day. It is the first midrange GPS watch that is small enough to look like an ordinary running watch. Although you can find other GPS watches around this size, but they are all priced much higher than the 220. Jeff Dengate of RunnersWorld.com says, “the comfort and form factor of the FR 220 is a lot better for most wrists. Instead of having a watchband attached to a molded case, the design and hinge points of the FR 220 allows it to fit more wrist sizes.” This is especially good news for men and women alike that have smaller wrists and who have found the bulky and awkward size of most GPS running watches uncomfortable and difficult to run with. And, despite a downsize in the size of the display, the color display of the Forerunner 220 has better organized and larger text, making it even easier to read than most other GPS watches. You can also customize the display to only show what you want to see, so there’s no need to scroll through a number of parameters to see the ones that are most important to you. Possibly one of the best features of the FR 220 is something called pre-cached satellite locations. What the Forerunner 220 does is every time you connect to Garmin Connect, it downloads seven days worth of satellite locations. That means instead of taking 30 seconds to a minute to connect to satellites to start GPS tracking your run, the Forerunner 220 takes about 5 seconds to connect, so you can be on your way as soon as you step out the door. This is a feature rarely found in midrange GPS watches. If you do a lot of running in the city, it may mean you have to stop now and again at intersections or for other reasons, which usually means your data isn’t accurate, particularly your overall pace calculation. However, the Garmin Forerunner 220 has something called Auto Pause. The Auto Pause feature automatically stops recording running information when you go slower than a particular pace which you can set for yourself or keep on the default setting. Although this doesn’t do much for those who usually go on trails or country roads, those who run in city settings will fully appreciate this feature so they can get the most accurate data. Access to Garmin Connect comes with every Garmin watch, and the Forerunner 220 is no exception. Garmin Connect is one of the most innovative, helpful, and user-friendly training platforms available today. You can upload all of your training information from your watch to your computer through a USB dongle or wirelessly using Bluetooth and an app on your smart phone. Garmin Connect tracks all of your running data, shows you maps of your runs, and allows you to share your data with others. You can also download training plans to the FR 220 to follow to improve your workout. Additionally, the Forerunner 220 can also sync to other training platforms such as Strava or Training Peak. Previously on the Garmin Connect network, creating your own custom workouts were only available for the more expensive GPS training watches. However, it is now available to anyone with the FR 220. The training plans that are available to download on Garmin Connect are also free and can be used no matter what level you are. They can be used to help you train just to improve your general fitness, or to compete in anything from a 5k to a full marathon. With all those training plans, you can start right at the level you are, and then move up at your own pace. Between the built-in features and separately purchased accessories, the Forerunner 220 can record a lot more data than other GPS watches. It has a built-in cadence sensor which counts your footfalls during the run, and with a heart rate monitor and a Garmin foot pod, you can collect even more data to get an even more detailed report of your run. The Forerunner connects with these devices using ANT+ wireless connectivity, and the data collected from these accessories helps give you more accurate reports even when you are in an area where you aren’t getting a GPS signal. The FR 220 can help you stay within a certain range, whether it’s a particular pace or heart rate, by sending you both audible and vibration alerts. Although many training watches has audible alerts, the FR 220 also has the vibration alerts, which works better for a lot of people, especially when running with headphones, or friends that might be annoyed by the constant beeping of your watch. People who have tested, tried and reviewed every GPS running watch agree that the Garmin Forerunner 220 is the best GPS running watch on the market. The fitness and technology blog FitTechnica in the UK gave the Forerunner 220 a 9/10. The only thing they didn’t like about it was that at the time of their review, the 220’s Bluetooth capabilities was limited to iPhone operating systems, but Garmin has since implemented a firmware update that makes both the 220 and the 620 compatible with many of the Android phones as well. The general public are also happy with the Forerunner 220. On Amazon, the FR 220 has an average score of 4.3 stars from people who have purchased it. When you consider that its closest competitors have scores of 3 – 3.5, you’ll see why a 4.3 rating is so impressive. Most people love how quickly the FR 220 connects to satellites. There are of course some downfalls to the Garmin Forerunner 220, but none of them are real deal breakers. The first downfall is that although it is waterproof up to 50 meters, it doesn’t give accurate GPS details while swimming. This is simply because it’s not designed to compensate for the dropouts that happen every time your wrist goes under the water. However, using a technique known as the swim cap technique, you can GPS track your swim to get a good idea of distance traveled and your pace. To use the swim cap technique, place your watch under your swim cap at the back of your head (where a ponytail would normally be worn) so that it will be staying out of the water once you begin swimming and are horizontal in the water. Make sure you set it up before placing it on your head and that you place it in such a way that you know where the buttons are so you can easily hit the start button without looking once you get into the water. Another feature that the Forerunner 220 lacks is a cycling function, and there’s no way to connect it to your bicycle’s cadence sensors or odometer. However, you can change the watch to measure your pace in miles per hour instead of minutes per hour, which can allow you to track your speed during a bike ride. Because the Forerunner 220 can’t be programmed for swimming or bicycling activities, if you are looking to train for a triathlon, you will want to look into the Garmin Forerunner 910XT, which is specifically designed for use by triathlon athletes. But, if you are primarily looking for a running watch and occasionally want to track an open water swim or a bike ride, then the Forerunner 220 should suit your needs just fine. One of the FR 220’s other features is an internal accelerometer which lets you measure your pace and cadence without purchasing and connecting to a foot pod. This is especially good for people who run on indoor tracks or on a treadmill. However, some experimentation has revealed that the paces of the internal accelerometer may not be accurate at all pace ranges. Although the Garmin Forerunner 220 can now connect to Android smart phones, not all smart phones are able to utilize the Garmin Connect app, so some Android smart phone users may not be able to use their live tracking and Bluetooth uploading features. But, live tracking your runs doesn’t affect your training and Bluetooth wireless uploading doesn’t change your ability to upload your running data, so it shouldn’t be too much of a problem for most people. One of the best features of the FR 220 is that it is roughly the size of a normal watch which means you could wear it as a normal watch, but it also has bold colors and a very sporty style that may prevent a lot of people from being able to wear it in a normal setting, particularly people who work in professional or business settings. The final drawback of the Forerunner 220 is that it does cost about $50 more than most of the other midrange GPS training watches that you will see. However, it easily has more than $50 worth of extra features that its competitors don’t, particularly its Bluetooth capabilities and its ability to latch onto satellites so quickly, giving it a big head start above the competition. If you want a GPS running watch that has all the features of the 220 and more, consider the Garmin Forerunner 620. Some of the added features include a touch screen on which you can see four points of data at the same time, and automatic wireless uploading of all your running data to Garmin Connect. The Forerunner 620 is a bit more expensive than the 220, coming in at $450, but it may be worth it for some runners. Its best feature is easily the wireless uploading, because you can come home after your run, leave your watch near your computer, take a shower, and then get on to Garmin Connect to view your run data. This compared to USB or Bluetooth uploads of the 220 is a big step up. There are a number of other running parameters that the 620 also measures such as VO2 max estimate, race finish time predictor, and a recovery advisor that estimates how much time your body needs to recover from your run. With all these additional features, the Forerunner 620 is a great watch for a more serious runner who is looking to maximize their GPS watch. But for most beginning runners, the Forerunner 220 has everything they need to get the job done. 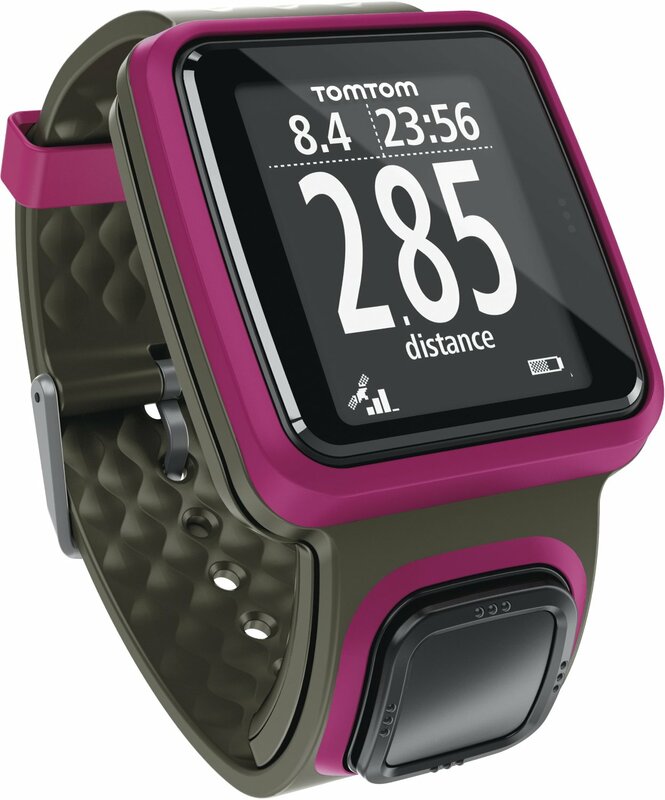 If you are simply looking for the least expensive GPS running watch, you may want to consider the TomTom Runner, which is around $170. Although it does have many of the features that the Garmin Forerunner 220 has such as wireless Bluetooth syncing and quick satellite connections, TomTom is new to the GPS training watch industry, so their software is not the best. Only recently has the TomTom Runner been able to upload running data to Garmin Connect and other training programs. The biggest downfall of the TomTom Runner is that it doesn’t connect to ANT+ devices, which means you can’t track your heart rate and other training aspects that could help you improve your overall form. It does have a good battery life, simple controls, and a readable LCD display. 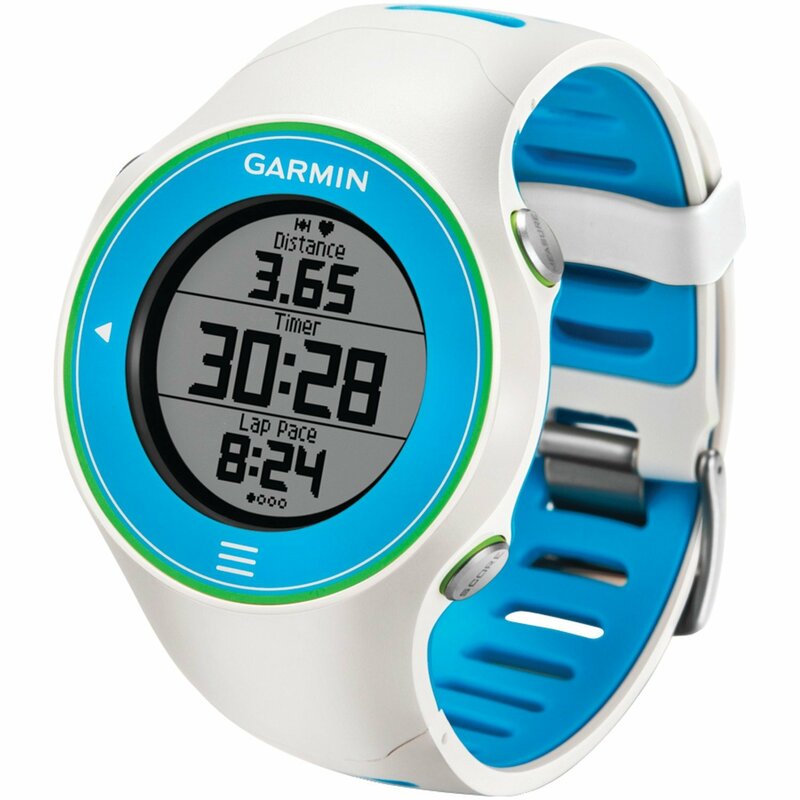 Another inexpensive option for people who only want a GPS tracking watch is the Garmin Forerunner 10 at $130. The Forerunner 10 is a much more basic GPS watch and doesn’t have many of the features of the Forerunner 220 or the TomTom Runner. The Forerunner 10 doesn’t have fast satellite linking, a long battery life, wireless uploading options, Bluetooth, or ANT+ connections. For that reason, anybody who wants to do a little more with their training watch than see where they’ve run should consider something other than the Forerunner 10. Here are some of the other watches that contended for first place with the Forerunner 220. The Timex Run Trainer 2.0 has an easy-to-use menu that shows the information on an easy-to-see display. Its numerous features mean that it can be used by any level of runner, from the beginning jogger to an experienced marathoner. It has a program called Training Peaks that your running data can be uploaded to, but unless you pay for the full version, you can’t download training plans or create your own plans. Also, the Timex Run Trainer 2.0 is significantly larger than the Forerunner and it doesn’t have Bluetooth. The Polar RC3 has a smaller design like the FR 220, an accurate GPS unit, and a number of coaching and training tools. However, with a starting price of $350, it’s a little too much for someone who’s just getting into running. This GPS training watch is designed for much more serious runners, so for most people, the extra cost is unnecessary because they simply won’t be using all of the training tools. Magellan, formerly just a GPS navigation company, has recently introduced a series of GPS running watches called the Switch series. These watches are waterproof and have a potentially unlimited battery life because of their rechargeable battery packs that can be switched out at any time. Although this is great news for people who participate in Ironman competitions or ultra-marathons simply for the ability to track the entire race without having to worry about your watch dying, this bulky watch has poor quality software, and doesn’t always accurately map your route, so it’s not the best choice for most runners. 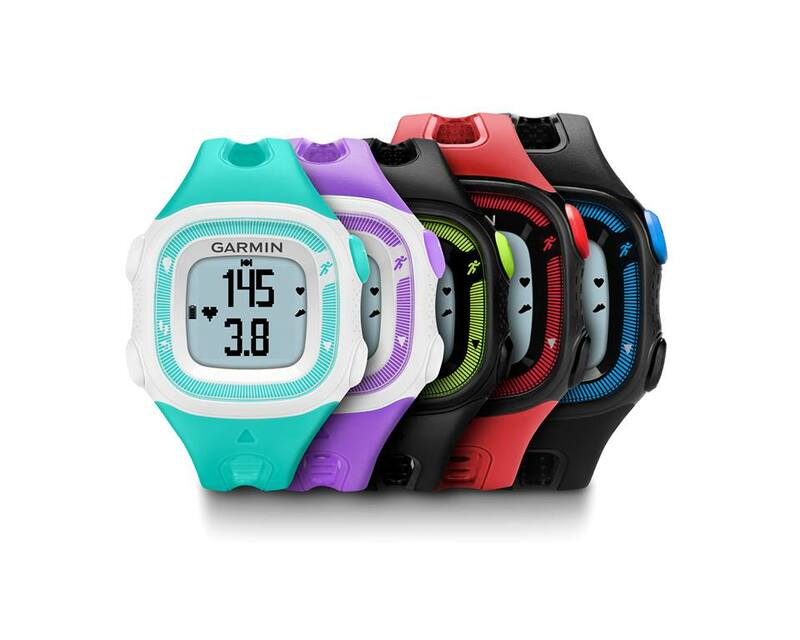 The Garmin Forerunner 210 was the previous top watch because of its low cost, high accuracy, and ability to use Garmin Connect. It does almost everything that the Forerunner 220 does, but the menu systems are not as easy to navigate and some pieces of information were nearly impossible to find on the watch, so you had to wait to upload all of the information to see all the data points. Although this is still an excellent choice for beginning runners, the Forerunner 220 has certainly made significant improvements on the FR 210, blowing it out of the competition. The Nike+ SportWatch GPS is directed to beginning runners and costs about $165. You can upload your running data onto your computer to their very simple and easy-to-use software program, but you can’t take that information anywhere else. Nike has not given this watch any real updates recently, making this watch not really worth your time and money. Adidas is another company who recently came out with their own sport watch, but their inexperience with making watches shows as their Adidas miCoach SMART RUN only has a battery life of one day. Its best feature is the built-in heart rate sensor and although some reviewers say that it’s not too bad of a workout watch, at $400 you’ll be much better off with the Forerunner 220. Suunto is a company known for high quality and high priced GPS hiking watches, and they have recently created a mid-range GPS running watch that rivals the Forerunner 220. 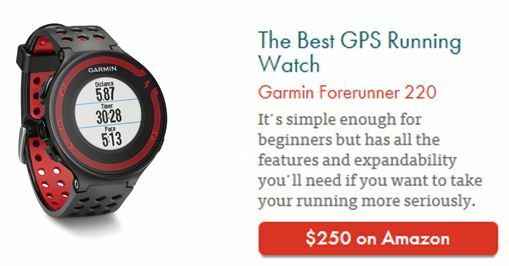 The Ambit2 R GPS is the same price as the Forerunner 220, $250, but is definitely aimed at a different crowd. The Ambit R GPS is more for people who both run and hike, and one of its features allows you to follow your route back to your starting point so you never have to worry about getting lost. It also has a cycling mode which is good for those who go cycling. If you are just planning to use your GPS watch as a running watch and don’t often go on hikes in unfamiliar places, the Forerunner 220 has a better selection of running features for the same price. Leikr and Bia are two new GPS running watches produced by independent companies that used crowdfunding to produce these devices. Although the Leikr does give you the ability to see the entire map of your run right on its two inch display screen, both of these newcomers lack many of the features and great characteristics of the Forerunner 220 and other equivalent GPS watches, and with the Leikr at $330 and the Bia at $280, you’re better off with a company like Garmin who’s been proving their ability to make quality watches for years. The other devices that are worth mentioning are part of a new category of running technology: devices that use your smart phone’s GPS and apps to track your run and display that data on your wrist. There’s the Magellan Echo and the Casio GB-6900B, just to name a couple. They range in price from $150 to $210, and you will also need to take your smart phone with you during your run which can be risky, so it’s better to spend a bit more to get a sport watch that’s dedicated specifically to tracking your run. Why Upgrade to a Garmin Forerunner 220? Getting a GPS training watch is beneficial to all runners and walkers, whether you are simply wanting to track your steps or train for a race. A pedometer is a simple device that can count your steps and give you a vague idea of how far you’ve walked in a day, but a sports watch can much more accurately track your distance, pace, duration, and intensity during a workout. It also gives you the benefit of being able to easily keep a training log online, so you don’t have to do any of that manually. Plus, with programs like the Garmin Connect, you can have access to numerous workout plans that can help you take your marathon running to the next level, or simply reach your fitness goals. For serious or even beginning runners who have an earlier generation GPS device that’s roughly the size of a hockey puck, it may be time to upgrade. The Forerunner 220 is not much bigger than a normal sports watch, yet it has the GPS functions that you want as well as a number of other helpful features. You may also want to upgrade from a non-GPS sports watch if you are wanting to get more serious about your training. The FR 220 has many more parameters that it measures which can help you improve your form and overall health. When choosing a GPS running watch, you first want to make sure the company you are considering has a good reputation for accuracy, especially since you will be investing anywhere from $100 to $500 in your watch. Although it can be tempting to buy a cool-looking watch from a new company at a lower price, many of these products will simply not be as accurate because the company is newer and hasn’t had the time to invest in making improvements. Even the big companies like Garmin, Timex, TomTom, Polar, and Magellan have faced their fair share of bugs and inaccuracies in the past. However, because of their extensive experience in the area of GPS and watch technologies, they have since overcome many of these errors and now have GPS watches that are very precise. Size matters, both the overall size of the watch, and the size of the display. One of the biggest problem with older generation GPS watches is that they were so big it was harder to run with them. Now, many of the GPS watches on the market are not much bigger than regular sports watches, which makes running with them a lot easier and more comfortable for you. You want to be able to read the display, as well, quickly and easily since you will likely be checking it while in motion. The Garmin Forerunner 220 allows you to set up which of the parameters it shows on the face, which allows you to only see what you want to see. That’s important when running because then you don’t have to worry about trying to scroll though menus and hit multiple buttons just to check your time or distance. Additionally, the FR 220 lets you set up vibration or audible alerts so you don’t have to check your watch as often, whether you want it to alert you every half mile just to give you an idea of how far you’ve gone, or you want it to let you know when your heart rate gets too high or is too low. During your run or during the set up and uploading processes, a good GPS watch should have a menu that is easy to use so you don’t have to waste a lot of time and frustrations on setting up your watch. Part of preparing for a run is connecting to satellites, and some GPS watches take a long time (up to a minute or more) to find satellites before you can start your run. However, the Garmin FR 220 has its pre-cached satellite option which remembers satellites every time you run which cuts your satellite connection time down to about 5 seconds instead of 60. Another function that a good GPS training watch must have is good software, a way for you to record and view all of your running data in a way that is hassle-free. Some GPS watches allow you to upload the information wirelessly through Wi-Fi or Bluetooth, while others you need to connect to your computer through a USB port to manually upload your information. No matter how the information gets onto your computer, what the software program does with it after that can make a huge difference in your training routine. Garmin Connect is one of the best online training forms out there, and allows you to quickly and easily organize your information, and download different training programs onto your watch or create your own program to download. Garmin Connect is only accessible when you have a Garmin watch. What Level Watch do You Need? For beginning runners who only want a basic GPS running watch that can give them an accurate reading of their route, time, and distance who don’t care too much about heart rate, cadence, and other more advanced features, you may only need a low-end GPS running watch. You can find a number of these very basic watches available for a variety of price ranges. 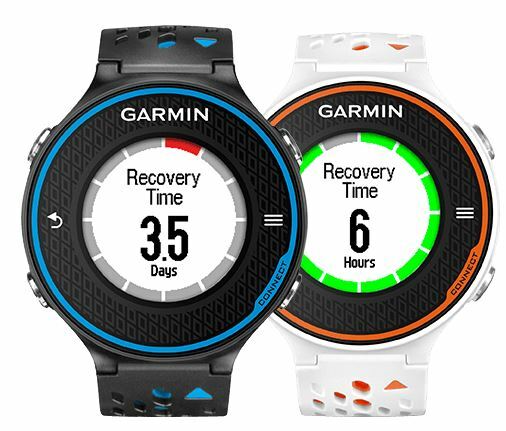 One of the most highly recommended is the Garmin Forerunner 10 because it allows you to use Garmin Connect to keep good records of your runs, and it is from a company known for making accurate and high quality GPS running watches. The next level is the midrange GPS watches. These will be more expensive than the low-end watches, but they also come with a number of additional features as well as improvements in design and overall functionality. They also collect more data parameters so you can have a more detailed log of your workouts. These watches typically have improved battery life, more training options, and better connectivity to satellites which means more accurate records. Midrange training watches are also great for beginners who are running because they want to improve their physical fitness and who are training for marathons and other races. As mentioned before, the Garmin Forerunner 220 is the most recommended of the midrange watches. The next level up from the midrange watches are the high-end GPS running watches. These watches have even more advanced features including automatic wireless uploads to training software, an even longer battery life, different modes for bicycling, swimming, and even skiing, and many others. High-end training watches are the highest on the pricing scale, but for a serious athlete who does more than just run and who wants extremely detailed reports on their form, necessary recovery time, level of intensity for every workout and more, this may be the way to go. The Garmin 910XT is one of the most recommended out of the high-end sports watches. TomTom is coming out with a GPS running watch called the Runner Cardio. This watch has wrist-mounted optical heart rate monitor like the Adidas Smart Run but is reported to have a longer battery life. It is similar in style and design to the TomTom Runner, but the added heart rate feature is a great addition, and has been proven to be pretty accurate, possibly removing the need for strapping a heart rate monitor to your chest. Polar and Garmin have recently released hybrid watches that are GPS running watches that also have the ability to track daily activity. Polar’s watch is the V800, and although it’s a bit pricey at $450, it gives you a full report of all of your daily activities, including estimating sleep times. It also allows you to upload your data wirelessly with Bluetooth and is waterproof up to 90 feet. The Garmin Forerunner 15 is a bit more reasonably priced at $170, but it doesn’t do as much as the V800. However, it will count your steps, send you idle alerts when you’ve been sitting still for too long, and estimate the number of calories you are burning throughout your day. Overall, if you are looking for a GPS running watch, the Garmin Forerunner 220 will give you the best value for your money. For $250, you can get a well-designed running watch that will help you accomplish all of your running goals with consistent GPS tracking technology, an intuitive software program that also lets you create and download training routines, and many other features. Whether this is your first GPS running watch or you’re looking to upgrade, the Garmin Forerunner 220 is sure to meet all of your running training needs. 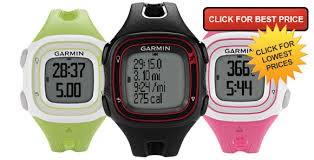 This entry was posted in Garmin GPS Running Watch and tagged Best GPS Running Watches 2014, Garmin.